Just two doors from our inn, this is a favorite destination among our guests who have just arrived and are looking for an easily accessible destination! 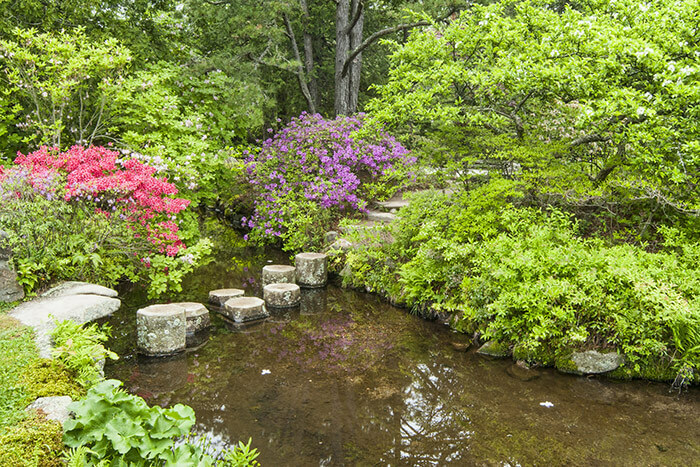 The museum features two 18th-century houses with period furnishings, an early 1800’s doctor’s office, exhibits on whaling and maritime history and exceptional grounds with a rose garden and voluminous hydrangeas. The museum has an active schedule of educational and entertaining events. 16 Main Street, Falmouth Village Green. Homestead of the author of “America The Beautiful”. While not open to the public, this historic site is just one block from Palmer House Inn. The oldest research aquarium in the country (created by Congress in 1871!) A great place to introduce your kids to marine wildlife. 140 species of aquatic life are on exhibit. Get close and personal with starfish, crabs and lobsters in the Aquarium’s touch tanks, literally a petting zoo for aquatic creatures! A ten minute drive from Palmer House Inn. A marine animal hospital for the rehabilitation and release of stranded whales, dolphins, seals and sea turtles. Meet some of the patients, and “adopt” an animal. 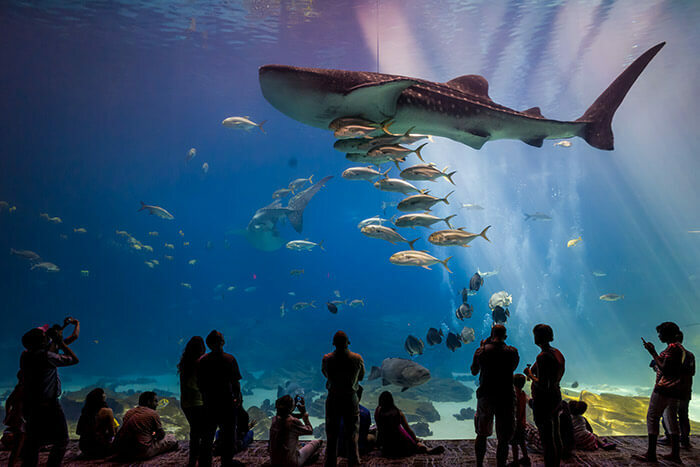 This nonprofit center is a great way to learn about how injured or sick sea animals heal and how their human caretakers facilitate that process. Built in 1876, this classically beautiful lighthouse is one of the most photographed lighthouses in America. 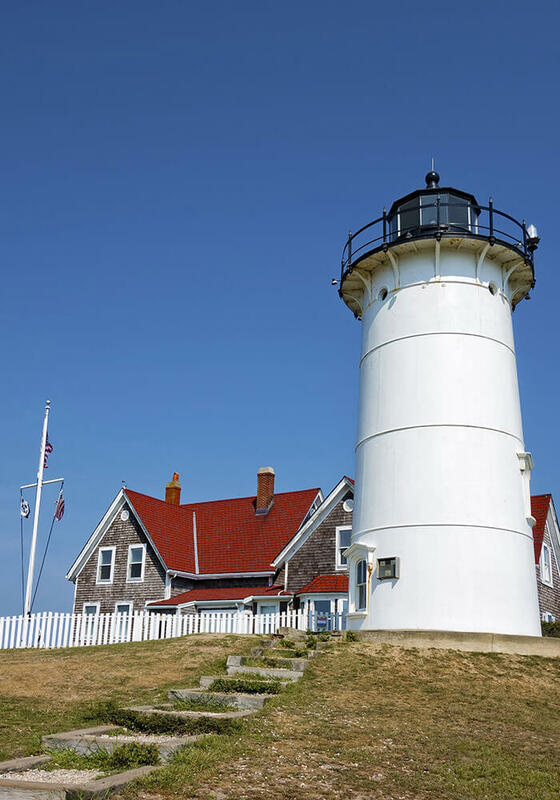 On the way to Woods Hole, set in an area of breathtaking oceanside estates, Nobska Lighthouse is both a favorite stop for visitors and couples looking for that perfect wedding venue! With over 100 acres of gorgeous landscaped grounds, an antique car collection, art exhibits and an unending series of special exhibits and learning seminars, Heritage Museums & Gardens is an entertaining must-see destination. 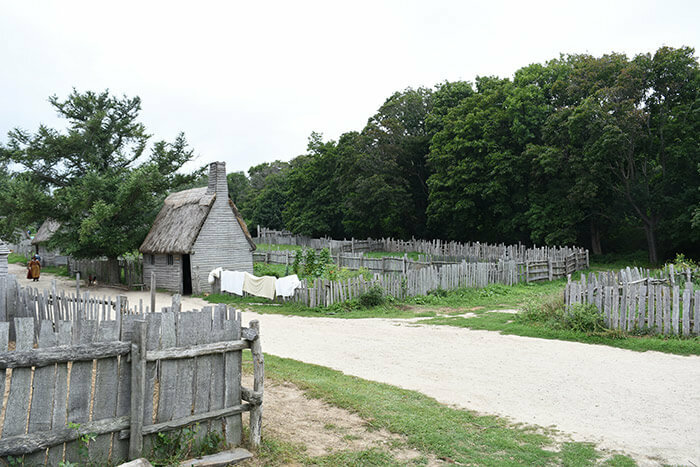 Modeled on the original 1624 Pilgrim Fathers settlement, Plimoth Plantation is a living history museum that takes the visitor back to the earliest days of European immigration to North America. Immerse yourself in the culture of the period, and learn while you’re having fun! 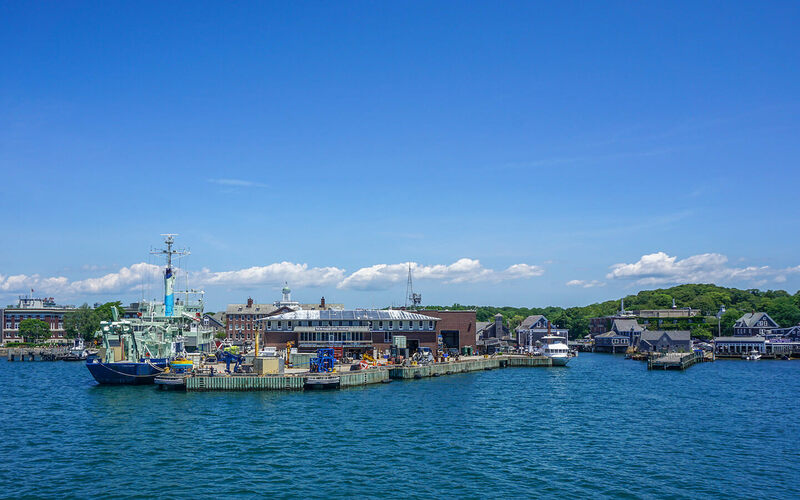 Describing itself as a “lively small museum”, it features two galleries with exhibits that generally change each year and a third gallery that contains a permanent scale model of Woods Hole, circa 1895. In addition to its galleries, the museum hosts events such as its annual late August Oyster Talk and Tasting……. Mmmmmmm! Not only a monument to JFK and his towering legacy, but also a behind-the-scenes window into the life of the private family man, who always felt most at home on Cape Cod. 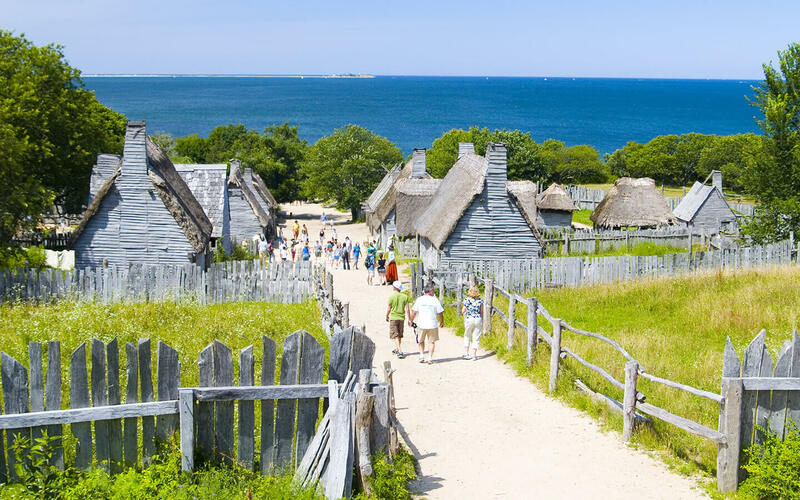 Highly praised by visitors, and worth the one-hour drive to Hyannis. Tripadvisor gives CLOC a solid five star average in its reviews section and for good reason — CLOC is enjoyable! 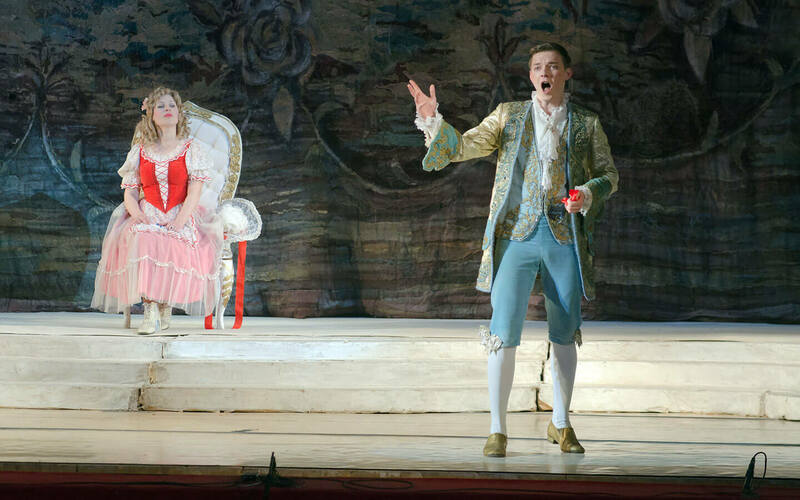 Whether your thing is Gilbert & Sullivan or Broadway, Strauss or Bernstein, you’ll find something to suit your taste and you’ll be delighted at the vocal virtuosity at work! If you’ve ever wondered if there is any new creative talent at work, look no further. Here you can see new plays by young, gifted playwrights. Avant garde? Cutting edge? Thought provoking? Provoking in general? Yup, all of the above! Held annually for a week beginning on the last weekend of July and is both the oldest independent film festival on Cape Cod and the Islands and one of the best independent film festivals nationwide featuring the thought-provoking work of cutting-edge directors. THE independent, not-for-profit go-to place to learn about ocean exploration, discovery and understanding. Numerous lectures, walking tours, science chats, splash lab (for kids) and (Fridays at noon) The Peanut Butter Club, with movies and talks on a topical subject. Ever wonder how jellyfish mate or how dolphins talk to each other? Come here and find out! Music, Dance, Theater year round. Events calendar available on line. The Barnstable County Agricultural Society holds an annual county fair in late, consisting not only of livestock and handicraft exhibits, but also featuring internationally renowned musical performers and a high-energy demolition derby. Watch for fall events as well, the Cranberry Cluster Dog Show and Harvest Festival in September and the Beer Fest in October! Did you know that Falmouth is a wine producing region? It is actually the producer of some excellent award winning wines at the Cape Cod Winery! The Winery has earned high praise from visitors, is open for wine tasting and sales and is operated by long-term master wine makers from Italy. 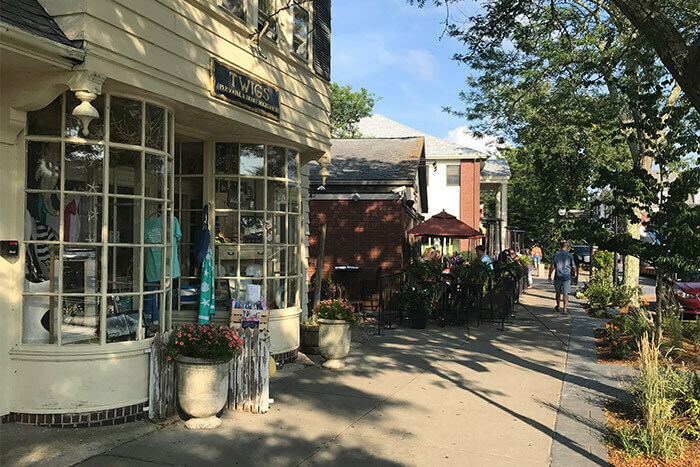 Our Cape Cod bed and breakfast is a scant two blocks from the start of Falmouth’s Historic Commercial District, the go-to place to feed your body and indulge your shopping instincts! Choose from an international array of restaurants offering mouth-watering dishes — you really can’t go wrong with whatever choice you make. For our sweets-addicted guests there are bakeries, chocolateries and ice cream stores. 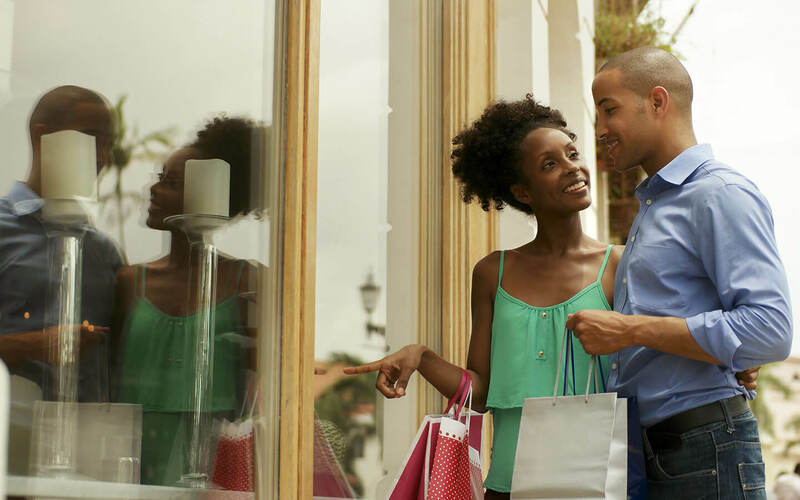 Fashionistas will appreciate the varied quaint boutiques, while lovers of antiques will find a variety of treasures to suit their taste.